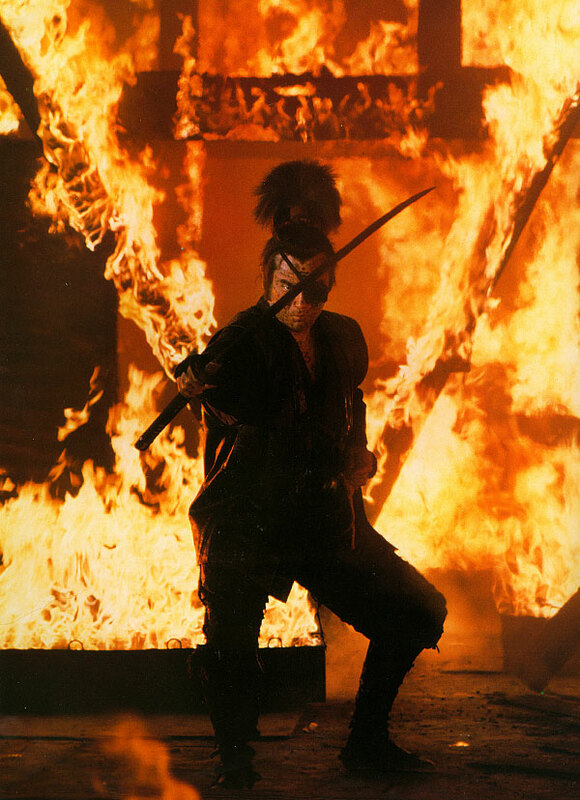 There are plenty of versions of Makai Tensho (aka Samurai Resurrection, Samurai Reincanation, and more), but my absolute fave adaptation is the 1981 Kinji Fukusaku-directed Kadowkawa effects epic. Spanning the decades and various actors, Jubei Yagyu has been portrayed as a heroic shinobi-skilled espionage overlord, a wandering secret agent on the lam, a vengeful son trying to take down his own corrupt clan, a beyond-villainous government pawn, and even a fully credible military leader and sword instructor. 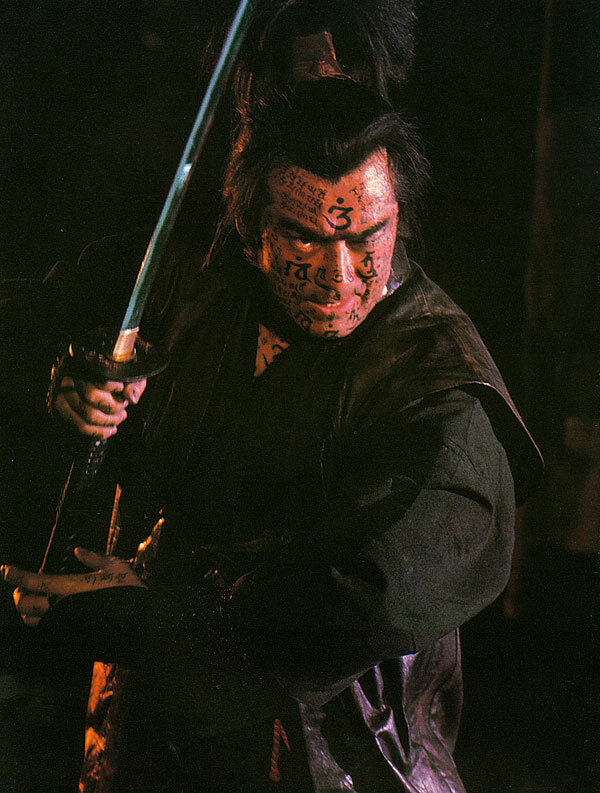 He’s saved shoguns and assassinated shoguns, hunted ninja and protected ninja. He’s been as multi-purpose as Billy the Kid. 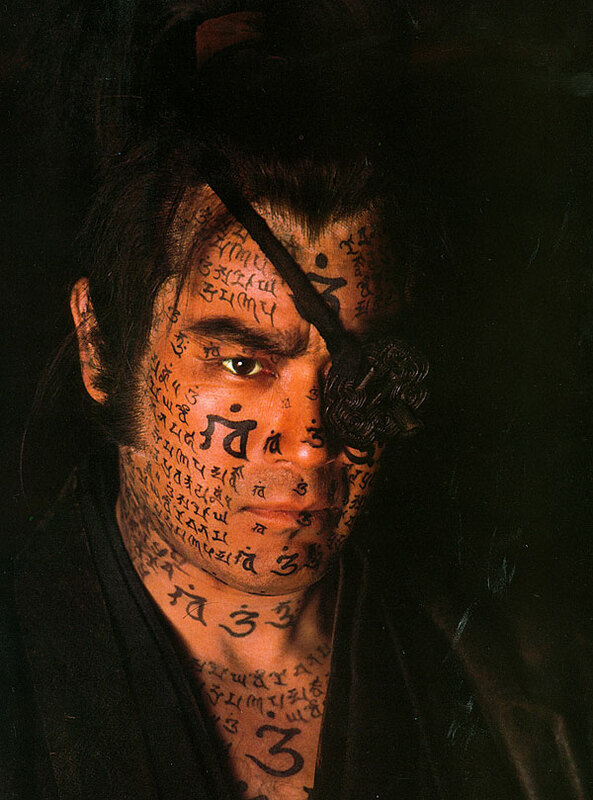 Sonny Chiba played Jubei A LOT, with a wider variety of incarnations than probably any other actor, but in ’81 he took the character to new heights of surreal mysticism and outright EXTREMENESS! Battling the wizard-ghost of the rebellious Christian samurai Amakusa Shiro and his squad of resurrected legends of the sword (including zombie Musashi! 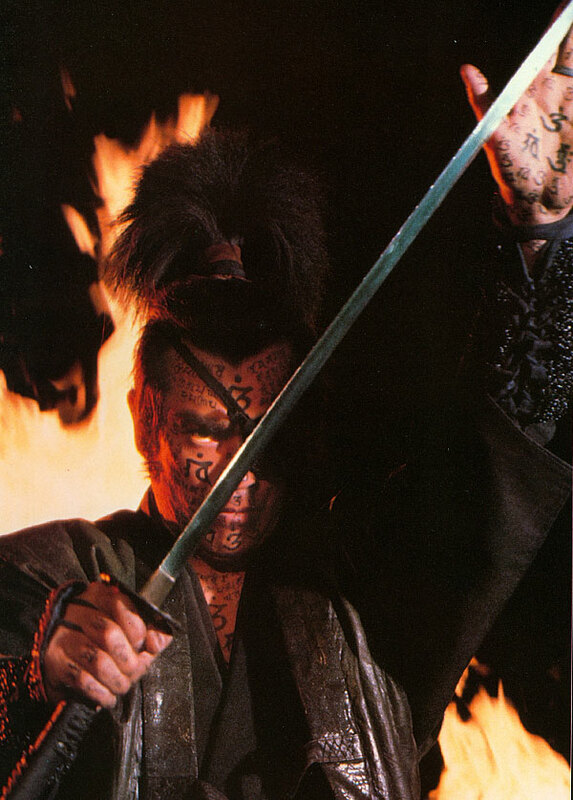 ), Chiba takes the familiar black-clad tsuba-eye-patched swordsman motif he previously established on the big and small screens and adds completely amazing protective spell body art for a look so f’n devastating it will make your soul poop. 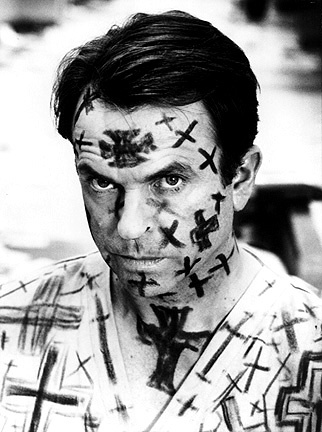 Do you know Sutter Kane? I mean, Futaro Yamada. This Jubei, Sutter Kane and Arnie’s Conan when the demons are trying to take his soul could party hard!